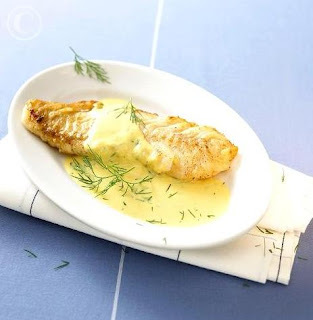 Sprinkle some salt over the cod fillet and steam for 8–10 minutes (depending on its thickness). In the meantime, put the yogurt, mustard, some lemon juice, capers, parsley and black pepper into a saucepan. Warm over a gentle heat and pour over the cooked fish.